Even while meeting regulatory standards, healthcare organizations still struggle to develop peer review programs that are unbiased and meaningful. Not addressing bias can lead down a path toward negligent credentialing or, in worst-case scenarios, a loss of accreditation. With so many variables involved, it can be hard for physician leaders) to determine what is the proper way to proceed. 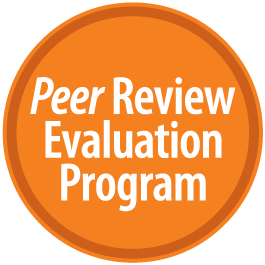 The Peer Review Evaluation Program is the result of the 10 plus years Robert J. Marder has spent assessing peer review systems. In a 60-minute phone call, Dr. Marder will go over the current obstacles you are facing in your peer review program. To preview the Peer Review Evaluation Program, take the free Peer Review Culture Survey, based on one of the six categories featured in the full diagnostic self-evaluation survey. We have made this section and a brief interpretation of the results available to you at no charge. Click here to take the complimentary survey.